Termites are a big problem in the Kansas City area and knowing your termite treatment options for control is key for eliminating Termites from you Kansas City Home. Below are some termite treatment options. If you need to know if termites are affecting your home or office or you are buying a home and need a termite inspection we are here for you. We have several qualified and experienced termite inspectors to perform a professional termite inspection for your home. Once we determine you either have termites in Kansas City or do not have termites in Kansas City, we can prescribe a termite treatment option for you. 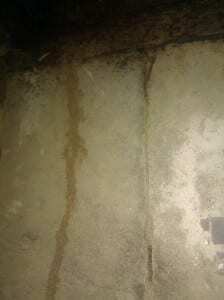 We can either perform a liquid termite treatment to your Kansas City home. or Install a Sentricon bait system to your Kansas City home. Liquid Termite Treatment consists of having a trench dug around your home and drilling is performed to all the concrete around your home. After a trench in dug around your home, liquid termiticide is then injected inside the trench. The liquid termiticide creates a complete termite barrier around your home. The concrete at your front stoop and around your garage and back patio needs to be drilled. This is so we can inject liquid termiticide under the slab around your home. Baiting for Termites in Kansas City is a long term greener approach to controlling termites around your home. The Sentricon System is deadly to the termite queen and her colony in Kansas City. Not to your home, your water, your land or your family. It targets termites with a bait they prefer over wood. So there’s no need to pour hundreds of gallons of chemicals into your soil. Sentricon forms a protective ring around your Kansas City home using smart, proven green technology. Reign supreme. Kill the termite queen in Kansas City. Kill the termite colony in Kansas City. protect your Kansas City home from termites.